ombined the popular features of the DDJ-SB2 with our leading Serato DJ controllers to make learning to DJ more accessible than ever. The ideal tool for beginners looking to hone their skills, this 2-channel controller is easy to navigate, featuring a professional-style layout inspired by our top DDJ-S range. Master Serato DJ Lite, then when you’re ready, purchase Serato DJ Pro to progress on the one machine. – Unlocks Serato DJ Lite. 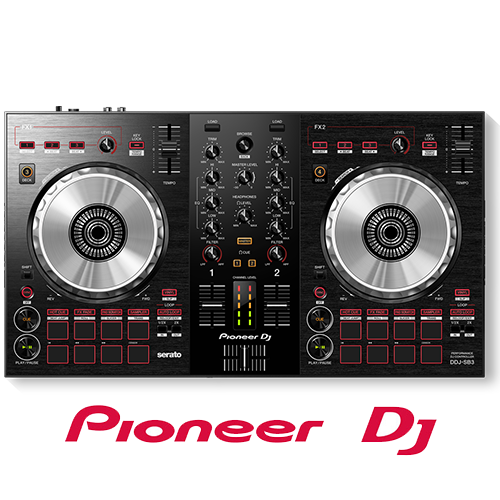 – Paid upgrade to Serato DJ Pro. Deck Control : 4 . Trim knob : Yes . Jog Wheel : 128 mm durable aluminium jog wheel . Filter : High & Low Pass filter . FX Fade : Yes . Pad Scratch : Yes . Hot Cues : 4 . Weight : 2.1 kg . Frequency Range : 20 – 20000 Hz. Signal-to-Noise Ratio : 103 dB. Distortion : < 0.005 % (USB). Inputs : 1 MIC (1/4 inch Jack). USB : 1 USB B port.